BNP Paribas Large Cap Fund has moved out of some cyclical stocks and into more structural stories with stable cash flows in an effort to resurrect performance back to its earlier glory days. The fund is particularly overweight on insurance sector, the rationale being the longer term Financialisation of savings. 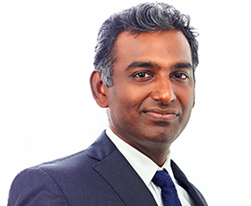 Karthikraj believes wide dispersion in earnings and stock performance within the Top 100 will continue to offer good opportunities to deliver alpha in large cap funds like his. WF: BNP Paribas Large cap fund which was the front runner till 2015, took a beating in 2016 (de-mon); it has never quite made a strong recovery since (albeit a brief recovery in 2017). What are the steps adopted to get the fund back into its earlier position as a performance leader? Karthikraj: The fund follows the BMV framework (Business-Management-Valuation) model of identifying sustainable high earnings growth businesses since 2011. This has helped its performance through the years. In 2016, demonetization impacted B2C companies’ stock price performance towards the end of the year and the fund being largely focused on the B2C businesses was impacted. 2017 has been good year for the fund, with the same B2C businesses like Retail Financials and consumer discretionary companies helping performance. In 2018, some of our bottom-up names have seen a correction along with broader markets as the Macro factors like interest rates, currency, twin deficits and inflation have deteriorated along with FII outflows. It can be seen that the divergence in performance has increased in 2018 significantly between large caps and mid & small caps and also within large caps itself with the large index names outperforming the rest of the pack. In light of the hardening interest rates, global trade wars and local macro factors, the fund has increased exposure to companies with healthy free cash flows (operating cash flow minus capital expenditure) and consumer companies which are likely to benefit from the government spending and near normal monsoons besides continuing to own the structural high growth retail financial companies and cut down exposure to some cyclicals as well as bottom up mid and small cap exposure. In the fund, we have added select Software names where growth outlook has improved and Digital business share has been steadily going up. We have also reduced our underweight in Healthcare where we have been underweight for last couple of years as the regulatory issues for the sector have come down in recent period. The portfolio’s focus on higher and stable earnings growth businesses with healthy cashflows should help in performance going forward. WF: When you look back at the last 2 years, where do you think mistakes if any were made in fund strategy and what lessons is your team imbibing from this challenging phase? Karthikraj: In last 2 years, there have been some excesses in valuations of some of the cyclical businesses due to excess liquidity and lower interest rates lifting overall market valuations. With the hardening of rates, some of the cyclical and leveraged businesses are witnessing correction in valuations. The fund had some exposure to the cyclical names which have got impacted in CY18. The exposure to cyclical companies in the fund have been reduced, the exposure to Structural companies have been increased with good growth and high free cash flow generation potential. Besides, there are excesses in the current market movement as well where the top 15 companies in Nifty 50 have double digit returns in current year while the bottom 15 companies have double digit negative returns. while for some of the top performing companies where business fundamentals have improved, the valuations may sustain, others could see some correction. WF: You are invested to the extent of ~93% in Equity. Do current valuations warrant a sizeable cash call? Is it time to be a little cautious on equity markets now? Karthikraj: We have stayed away from taking large cash calls except for extreme market conditions. We normally have around 5% cash levels. While market valuations have been expensive for last year or so, we believe the earnings growth is likely to pick up in next few quarters and there are pockets of opportunity as the market movement has not been even, with some good growth companies available at reasonable valuations. WF: Large cap stocks have had a relatively stable run in recent times (compared to the midcap stocks specifically). How do you the large caps space over the next 12-18 months? Karthikraj: Large caps have underperformed the mid & small cap space in last 4 years starting 2014. 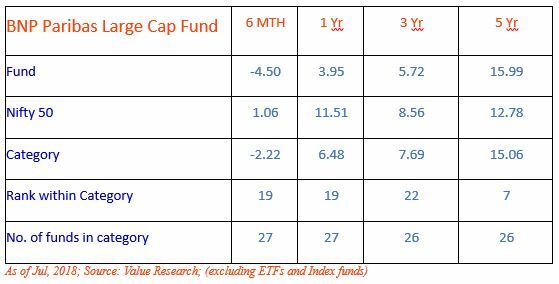 The current leg of correction has bridged some gap between the performance of large v/s the mid & small cap space. However, valuations of mid & small cap space, is still slightly higher than the large cap category. Besides, many of the large cap names are sector/market leaders and are actually growing faster than the industry and gaining market share. We believe such companies would continue to deliver better growth than many of the mid & small cap names in the longer term as well which could eventually reflect in the price performance as earnings growth has very high correlation with the price performance in the Long term. WF: You are considerably overweight on financial services sector especially Insurance sector and underweight in energy (3.25%) vs. benchmark (14.77%) – How do you see these 2 positions to pan out for you over the next 12 months? Karthikraj: We are underweight energy as higher crude prices and depreciating Rupee could impact margins for the sector. We are overweight Insurance sector within Financials as we believe in the Longer term Financialisation of savings. The large companies with Bancassurance tie-ups have huge advantage in cost efficiency which could help them gain share further. Also, Protection business is underpenetrated. Higher share of Protection business could aid in margin improvement. WF: Many observers believe that with the introduction of TRI and less flexibility in product mandates post categorization, alpha generation in large caps will be severely challenged. Do you subscribe to this view? Karthikraj: The top 100 companies by market capitalization are part of the large cap category. As highlighted earlier, there are many market leaders in the large cap category which are growing faster than the industry and the market itself, which could provide outperformance in the medium to long term for an Alpha Manager picking these companies. Besides, while the benchmark is the reflection of 50 or 100 companies, the earnings growth performance within the constituents of benchmark have been divergent for almost every year in last many years. Even in a longer term, the top 40-50% of companies have contributed to majority of the growth and price performance while the bottom companies have contributed far less. India being an emerging economy, there are new sectors and companies growing into large size which reflects in the change in Index constituents over time. Hence, we believe there is enough opportunity even in the large cap space for active fund management for times to come. The sector(s) mentioned in this document do not constitute any recommendation of the same and BNP Paribas Mutual Fund may or may not have any future position in these sector(s). The material contained herein has been obtained from publicly available information, internally developed data and other sources believed to be reliable, but BNP Paribas Asset Management India Private Limited (BNPPAMIPL) makes no representation that it is accurate or complete. BNPPAMIPL has no obligation to tell the recipient when opinions or information given herein change. It has been prepared without regard to the individual financial circumstances and objectives of persons who receive it. This information is meant for general reading purpose only and is not meant to serve as a professional guide for the readers. Except for the historical information contained herein, statements in this publication, which contain words or phrases such as 'will', 'would', etc., and similar expressions or variations of such expressions may constitute 'forward-looking statements'. These forward-looking statements involve a number of risks, uncertainties and other factors that could cause actual results to differ materially from those suggested by the forward-looking statements. BNPPAMIPL undertakes no obligation to update forward-looking statements to reflect events or circumstances after the date thereof. The words like believe/belief are independent perception of the Fund Manager and do not construe as opinion or advise. This information is not intended to be an offer to sell or a solicitation for the purchase or sale of any financial product or instrument. The information should not be construed as an investment advice and investors are requested to consult their investment advisor and arrive at an informed investment decision before making any investments. The Trustee, Asset Management Company, Mutual Fund, their directors, officers or their employees shall not be liable in any way for any direct, indirect, special, incidental, consequential, punitive or exemplary damages arising out of the information contained in this document.